Ed's blues influenced guitar masterpiece! 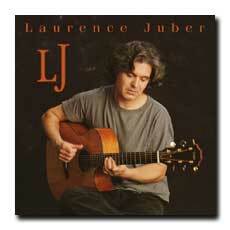 featuring many great solo guitar picking tunes a few terrific slide numbers and many surprises! At first glance, the blues seems to impose strict stylistic and harmonic constraints on musicians, but within this framework is a limitless canvas for expressing every aspect of human behavior and emotion. On Sunnyland, fingerstyle virtuoso Ed Gerhard isnâ€™t just â€œrunninâ€™ down the road feelinâ€™ awfully lowâ€�; heâ€™s skipping down to the crossroads, kicking a can. With this joyful set of originals and country-blues and gospel covers, Gerhard steps outside the poetic, sonically pristine territory on which he built his reputation to embrace the messier-in-a-good-way, syncopated picking that first caught his ear as a kidâ€”thumping bass, string buzz, and all. Sunnyland pays tribute to Mississippi John Hurt, Dave Van Ronk, Blind Willie McTell, and other seminal fingerstyle blues players, and Gerhard retains his unique ability to get to the heart of a song in an instant and say more with two or three notes than many players say with a hundred. His precise touch on Breedlove, Somogyi, Oahu, National, and Weissenborn guitars sounds effortless and musical. A gorgeous lap-steel rendition of â€œAmazing Graceâ€� brings him within touching distance of sacred-steel icon Willie Eason, to whom Gerhard dedicates the cut. Sunnyland is a fresh and spirited effort that demonstrates the enduring power of the blues. Guitar wizard Ed Gerhard turns his attention to the blues on Sunnyland (Solid Air 2057) , a fine collection of instrumentals with the warm, relaxed feel of a late summer evening. 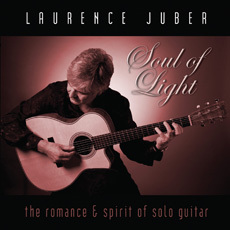 Gerhard coaxes a mellow tone from his instruments (mainly Martins), fingerpicking and sliding his way through a few spirituals, including â€œAmazing Graceâ€� and â€œJust a Closer Walk with Thee,â€� and a raft of his own compositions that nod to originators Tampa Red, John Hurt and Blind Willie McTell, and revivalists Dave Van Ronk and Jorma Kaukonen. â€œSunday Bluesâ€� features serpentine slide, â€œSunnylandâ€� a sprightly Southern melody; the sole contemporary-sounding piece, â€œStill Not Sorry Youâ€™re Gone,â€� has the feel, if not the form of the blues. Fans of acoustic music will appreciate these subtly masterful, heartfelt performances. 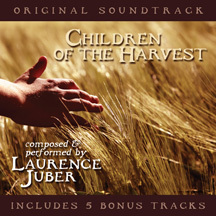 Last year I heard Ed Gerhard perform "Still Not Sorry You're Gone", a new composition he had just recorded for this CD. It was a quirky piece, but fit perfectly with his concert staples, including "Tennessee", "Duet", "The Water is Wide," and John Lennon's "Imagine". Sunnyland presents 14 blues-flavored performances, doing so with greater variety than one finds on most self-styled blues recordings these days. 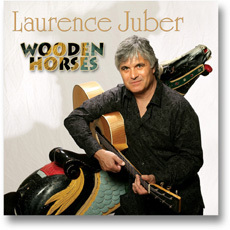 Gerhard plays a variety of new and vintage acoustic and electric guitars, sometimes multitracking them. He dedicates each of seven performances to another musician, kicking things off with "Avalon Train", played in the gentle spirit of Mississippi John Hurt. On "Avalon Train", "5 to 99", "Still Not Sorry You're Gone", "Not Blind in Heaven", and other standout tracks, Gerhard successfully melds traditional approaches with his own approach, which includes pop influences, dissonance, and emotive chord progressions. A few other selections could have come from the bouncy Kicking Mule school of the 1970s, including "Sunnyland", (which Gerhard might have easily dedicated to Taj Mahal), "Little Road" and "Sunday Street Stroll", the latter of which effectively combines Dave Van Ronk's fusion of early jazz and Piedmont guitar. Another rootsy tune, "Either Way She Walks," shows how good a slide guitar duet can sound. Gerhard displays his slide mastery on several other tracks, including "Just Can't Keep From Crying Sometimes", "Night Owl Blues" and "Amazing Grace." Sunnyland is a fully realized thematic work, it's recorded as well as Gerhard's best earlier recordings and is fully satisfying. Buy it -- and thank him that you can. 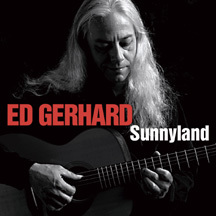 Ed Gerhard's "Sunnyland" draws from the gospel and blues, and the 14 track disc boasts outstanding instrumental guitar arrangements of 11 originals , as well as inventive arrangements of "Amazing Grace" and several other standards. a catching and mysterious atmosphere. *SunnyLand*, An Interview with Ed Gerhard. Q: Wow, it's finally here! What took you so long? We've been hearing rumors about the new record for quite some time! A: Well, there were a lot of things that held me up, but mainly it just took me awhile to get the record to hang together the way I wanted. I wrote more tunes for this record than I have for any other record, and the way I write is a long process. I get a whole bunch of stuff, then I edit, consolidate and trim the stuff down so there's not a lot of excess. That process takes me awhile, and at the end of the process you have a tune that's not even three minutes long. Not very efficient, but that's the way I work. I ended up dumping over half the record and writing more tunes until I had the balance I wanted, and I wanted the tunes to be as strong as possible. Q: There's quite a variety of styles on the record. How did you approach writing in so many styles, and how did you decide which ones to put on the album? A: Well, I never really thought of blues as being a single "style" of music, to me it was more like a place where the music came from if that makes any sense. You listen to any five of the early blues guys and you hear five different approaches. There are some things musically that are idiomatic across the board, but all those guys, for the most part, were unique and original. They weren't playing blues per se, they were just playing their stuff and it came out blues. I like all that stuff, from guys like Blind Willie McTell to Mississippi John Hurt to Bo Carter to Tampa Red and on and on. All those guys put something in me, some musical nugget; not a lick or a tune, more like a vibe or feeling that I've carried around. I feel like it's always been there in my playing but I never really devoted much energy to playing in an idiomatic way, so it may not be readily apparent when people hear my non blues stuff. This answer getting long enough for ya? Q: No, no, keep going. A: OK. Anyhow, when I started writing the tunes I jumped around "stylistically" I guess you could say. I wrote a couple of ragtime things, some dark Delta things, a bunch of improvisational slide tunes, just casting around for direction. Some of those early tunes were good tunes I think, but in an academic sense. They were interesting and idiomatically correct but I didn't feel like they were coming from me. Those got tossed, but they led me to writing in a more personal way. I didn't want to just jump around from style to style or imitate other players, I wanted to have something personal coming through the music and playing. Q: There are more uptempo pieces on here than usual. Do you approach writing those tunes differently? A: I spent a lot of time working with tempos, or "tempi" as it were. You can say a lot in a tune just by it's very tempo, so I experimented quite a lot with playing stuff faster or slower. Some tunes were slowed way down from their original tempo, some were sped up a bit. The uptempo tunes on "Sunnyland" are generally pretty positive and upbeat, like "Little Road" for example. Play that one too fast and it loses a little of the, for lack of a better word, "humor" in there. Too slow and you keep wishing it was faster. "Avalon Train" was originally much faster, but slowing it down gave it a completely new feel, one I hadn't even been searching for. The tempo feels right, it's a train song but it doesn't just barrel through. Q: You have some songs here that are dedicated to different people like Mississippi John Hurt and Blind Willie McTell but the tunes don't sound like you're copping directly from them. A: "Avalon Train" is the first tune on the record, the one I dedicate to John Hurt. I wanted to play something that had some of the warmth that he had without just playing his stuff back to him so to speak. The tune was "for" him, not "from" him. Q: So imitation isn't the sincerest form of flattery? A: Maybe. I wanted to salute these guys and say here's a little something I got from you, thank you, I promise to respect and love that without just parroting it back. It wasn't about flattery, I think that approach, for me anyway, would be pretty thin. Q: What made you decide to do a blues record? It seems a bit of a stretch for you. A: It was suggested by James Jensen at Solid Air Records as a sort of one-off, a side project for his label. I don't think of it as a stretch, I've always played a little blues but it was a bit of a challenge coming up with an entire album of blues stuff. Q: I know that guitarists are probably curious about the guitars, tunings and recording setup you used. Can you enlighten us? 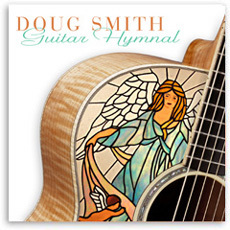 A: Well, let's see; the primary guitar used on about 80% of the record was a new Martin OM 18V. Q: Not the Breedlove signature model? A: No, I was looking for a different sound on this record. The Breedloves are too nice in a way, too much sustain and clarity. I was looking for a smaller, punchier sounding guitar without a whole lot of sustain. I did use my Breedlove EG25 12 string on a couple of tunes. That's a really great 12 string. Also used a Breedlove Atlas fretless acoustic bass on one tune. That thing is cool. I finally got to record with my old Martin D 18, which is the first good guitar I ever got. I was fifteen when I got it. Beautiful recording guitar. Q: Great. There are also a few lap steels on the record, both acoustic and electric. A: Yeah, I really love steel guitar and I have a small stash of some really nice ones. I used a '54 National Dynamic on two of the tunes, "Amazing Grace" and "Still Not Sorry You're Gone." On "Still Not Sorry" I plugged into a THD Univalve amp and mic'ed it with a Shure SM57. That little amp is just badass, I really love it. All my steels sound just great through it, they all retain their individual character. I used a Weissenborn Style 2 on "Either Way She Walks." I have two Style 1's and a Style 2, and the Style 2 seemed like the right one for that tune. It's much quieter than the other two, but it records very smooth. Q: "Just Can't Keep From Crying Sometimes," that's originally from your "House of Guitars" record? A: Yeah, I went back and remixed it a little. There's more cumbus, which is a Turkish banjo-like instrument, on the head and tail of the track. A really cool sounding instrument. This mix is a little deeper and clearer than the "House of Guitars" mix, but I like them both. The main slide guitar is a little Oahu OO size guitar that is only playable with a slide. The neck is bowed, the action is ridiculous and the fret ends will slice you up if you're not careful. I considered wearing a leather glove on my left hand, but hey, it is the blues after all. I do remember getting a little nick or two. I'm givin' 110 for the peeps. Q: How did you record, what microphones, etc.? A: I recorded into the PARIS hard disk system I've been using for a long time now. The mics were usually Neumann KM 140's, XY pattern. I don't generally use XY much, but it seemed right for this record. Sometimes I'd use a Neumann KM 84 in place of one of the 140's just to give a little bit of heft to the guitar. I occasionally used a Neumann TLM 193, too. That sounds great on the Breedlove bass with a little DI mixed in. The 193 has a beautiful smooth sound and the low end is deep, clear and tight. Most everything went through a Neve/Brent Averill 1272 mic pre straight into PARIS, all 24 bit. Q: It doesn't have a "digital" sound to it, the record has a warm analog feel to it. A: Thanks, I think a lot of that just has to do with how I played the stuff, and not tweaking EQ's endlessly. I tried to use the natural sounds of my room and the instruments as much as possible. I'd add some reverb here and there, but it was incorporated into the room sound for the most part. My room sounds great for guitar. The Neumanns hear EVERYTHING, so I had to be careful not to get too much room sound, but I was able to get some of it in there without causing too many phase, EQ and resonance problems. And PARIS sounds really round and warm at 24 bits, I think it does sound a bit "analog." Analog is the right sound for this record, nice and round.